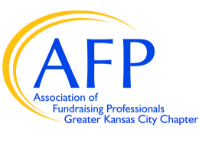 Each November, AFPKC celebrates National Philanthropy Day and the generosity of our city. As part of this celebration philanthropists young and mature, corporate and individual, professional and volunteer are recognized at a special event. This year we are excited to have the Mid-America Charitable Gift Planners join AFPKC in this celebration as we present a new award - Legacy Giving Partnership. If there is someone you would like to honor, please complete the intent to nominate form now. Forms are due by March 31. Your application will be reviewed and if your nominee is a finalist in your selected category you will be notified by April 15 and invited to complete a full nomination, which will be due May 3. Spirit of Philanthropy – Individual/Family – honors an individual or family with a proven record of embodying the spirit of philanthropy through financial support, community service, and/or leadership. Spirit of Philanthropy – Business – honors a corporation (or its corporate foundation) that demonstrates outstanding commitment through financial support and through encouragement and motivation of others to take leadership roles toward philanthropy and community involvement. Spirit of Philanthropy – Youth – honors an individual or group of young people ages 5-23 who demonstrate outstanding commitment to community through direct financial support, volunteer service, or charitable partnerships. This award includes a $500 gift made to an organization of the awardee's choosing. Legacy Giving Partnership – honors an exemplary planned giving relationship between a donor and charitable organization and/or fundraising professional. An individual or team may not be considered if they currently serve on the National Philanthropy Day Committee or the boards of AFPKC or MACGP. This award is presented in partnership with Mid America Charitable Gift Planners. Excellence in Fundraising – honors a fundraising professional or team that has demonstrated achievement through a successful campaign, initiative or career. The individual or team must currently work directly for or with a not-for-profit, charitable organization. An individual or team may not be considered if they currently serve on the National Philanthropy Day Committee or the board of AFPKC.